Updates to Sally (SaraBeth)'s profile since your last visit are highlighted in yellow. I have a bachelor's and master's in secondary education in General Science from IU (IUPUI). I have a varied background which includes 2 years in medical school, selling pharmaceuticals, and working for nonprofits. 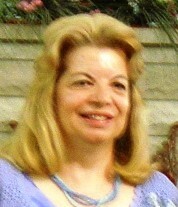 My teaching experience spans all levels: I started out in elementary, switched to secondary science, and have taught computer applications at Ivy Tech to students aged 18-80+. I tutored for Carmel schools for 30 years. I am presently a full-time writer and editor. I write content for brochures, web pages, ebooks, pamphlets, white papers, and case studies. I edit anything that anyone else writes. I can help a person take a book from concept all the way through publishing and publicizing. Science: I have written test-out-of-college-course guides for chemistry, biology, zoology, geology, physical sciences, and natural sciences. I have written sections for teacher certification guides in all sciences. I have edited teacher certification guides for Chemistry for all 50 states. I have written online courses for chemistry and math. Teacher training or support: I have written magazine articles, teacher tips for online support, and online courses. My husband (a project manager) and I are both interested in full-time positions since he was laid off last May. Sally (SaraBeth) Thomas Rushmore has a birthday today. New comment added. Sally (SaraBeth) Thomas Rushmore has a birthday today. 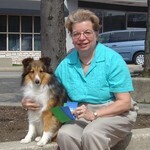 Sally and her Sheltie Sunny after winning their class in an obedience show.